“I don’t think there has ever been someone so qualified to hold this office, “She’s got the courage, the compassion, and the heart to get the job done … I have seen her judgment,” said the president. “I’ve seen her toughness. I’ve seen her commitment to our values up close. 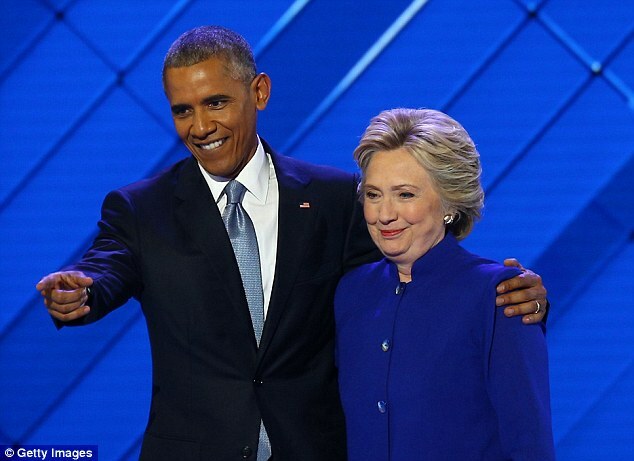 And I’ve seen her determination to give every American a fair shot at opportunity, no matter how tough the fight – that’s what’s always driven her, and still does.” – President Obama, issuing a rallying call to unite Democrats, and firing up those who helped get him to the presidency in ’08 & ’12. I’M ALSO WITH HER! And so should you all be. Forget what the hair head (not a play on words) said: African-Americans, and all Americans, especially those who did not have million-dollar inheritances, DO have a whole lot to lose if a man who cheats labor without paying when a job is completed gets to be president of the USA. “… she gained massive amount of weight … Miss Housekeeping …” about a former Miss Universe winner, a Latina who gained weight after her victory, in his view of then owner of the Miss Universe brand, as being nothing more than those who made the beds in his hotels where many Hispanic women labor to make better lives for themselves and their families. As for Ms. Rosie O’Donnel, she seems to continue to haunt Trump everywhere he turns, including the recent presidential debate. Rosie, no hair-brain, gives the Donald worse than he ever can give as the English Language always fails him due to non-mastery of the language, “brilliant” – his words for himself – or not. This is not about Hillary – alone – nor is it about THIS and THAT and THOSE things that make many remain undecided in what is about the future of America more than personal feelings and disappointments. It’s impossible for me here to count the many ways – to borrow a phrase from Barret Browning’s How do I love thee? Let me count the ways” immortal opening to a poetry that is beloved by students of English Language the world over – that a Trump victory would trump the interest of America’s core values. (CNN)Two years before the housing market collapsed in 2008 and millions of Americans lost their homes, Donald Trump said he was hoping for a crash. And his refusal to release his tax returns has fueled widespread belief that must have “something really important, even terrible, that he’s trying to hide” according to Clinton in their first debate brings poignancy that Americans cannot trust this man who boasts he’s worth $10 billion when experts who have followed his finances say he’s worth a mere fraction of that. Millions are with her but she needs millions more to prevent a “disaster”- a word that describes most things – from Trump’s very shallow vocabulary. And as Michelle Obama famously said on the prospect before all Americans: “We need an adult in the White House”. That needs no figuring out.